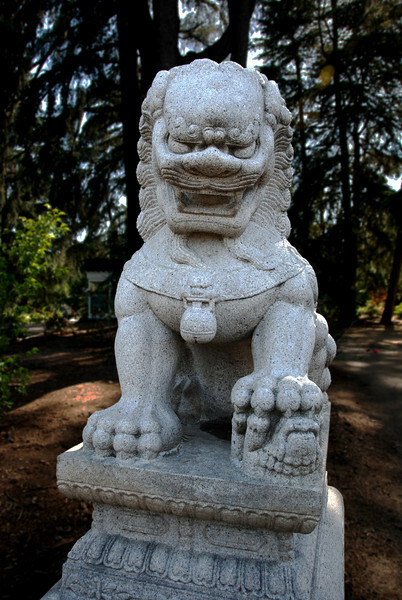 One of a pair of lions guarding the Garden of Flowing Fragrance at the Huntington in San Marino. This place is amazing, which is why we took our parents there after Ann's graduation. Yay Ann! I cut out the lion from the background which I then blurred, darkened and lowered the contrast on. I think it stands out well without looking too fake.